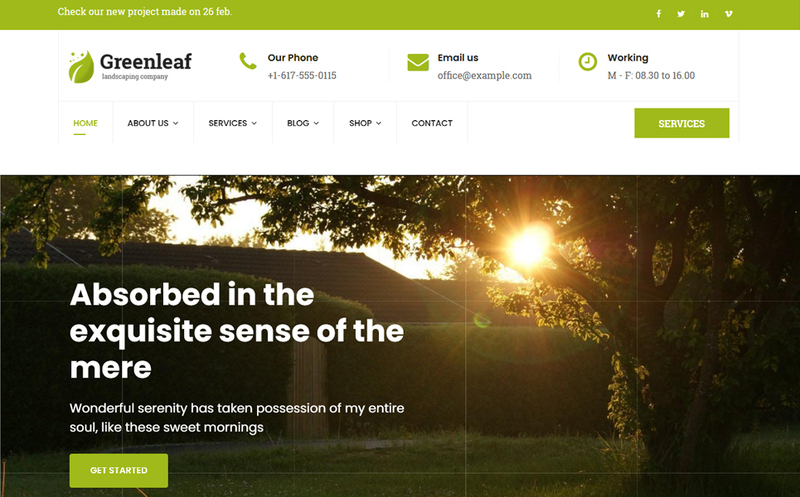 Greenleaf is a Joomla Template Landscaping, Lawn Services, Groundskeepers, Landscape Architects, Gardeners, Florists, Agriculture and companies that offer related services. 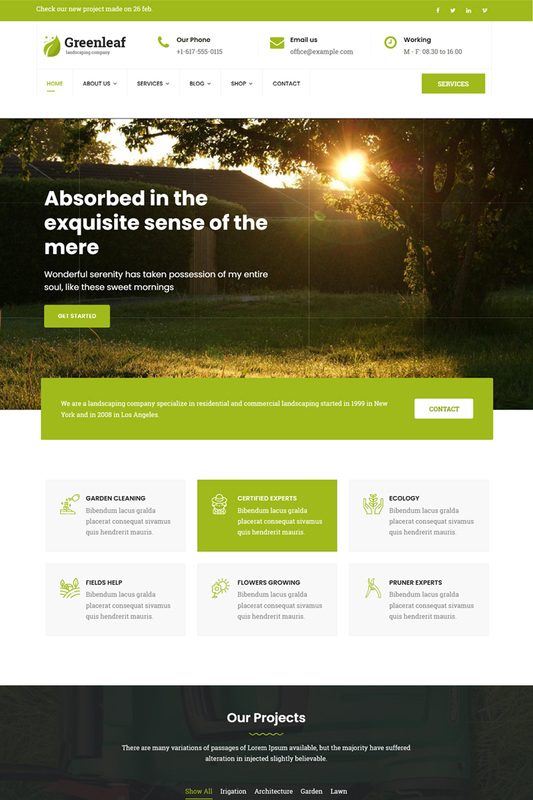 Greenleaf - Gardening, Lawn & Landscaping Joomla Template is made on Helix Framework and SP Page Builder PRO as builder, Layer Slider and for ecommerce the powerfull J2store with some customs from our side. Build your site easy, with our Quickinstall pack (quick demo installation) and you don't need to install joomla and other extensions, just upload zip on your server, unzip and start installation (you have all of this in documentation). Greenleaf is modern template, made with latest technologies and you don't need php knowledge to change something; using the best page builder, you can custom your text color, size, font, frm addon, easy, simple, fast and you can do this using Frontview or Backend. Greenleaf - Gardening, Lawn & Landscaping Joomla Template is fully compatible with J2store, so you can have your shop fast, clean, secure and simple. Try it and tell us what you think about it :). Do you want other Ecommerce? let us know. Also, if you don't need ecommerce, just disable all modules (from J2store) and then disable component J2store. In our pack, please check our documentation. In documentation, you can find all about our tempalte, how to install, configure and more. If you need to know something then we added in documentation, you can ask us using templatemonster ticket support system (we answer in max 1 hour but please wait until 24h, due working time or sometimes notification goes to spam email).